Bob Hartnell is being recognized for his volunteer work in recreation and sport in Wetaskiwin. Bob was chairman or a member of many recreation committees; was President or Governor of numerous sport or hockey related organizations and leagues; coached and/or managed many hockey teams; initiated many innovative programs and organized countless hockey activities. Through his involvement Bob has made significant contributions to the citizens of our community. Bob became involved in coaching when his sons started playing hockey. From 1978-1986 he coached at the Novice, Atom and Pee Wee Levels. For the next two years (1986-87, 1987-88), Bob was the manager of the Bantam “AA” Legion 86’s that won two Provincial Championships. When the Legion 86’s were inducted into the Wetaskiwin & County Sports Hall of Fame, Bob was given high praise for the work he did with these young men. During his time coaching and managing, Bob also accepted the responsibilities of League Governor for the North Central Hockey League from 1985-1989. He was Governor of the PeeWee AA League for two years and the Bantam AA League for two years. Additionally, it was Bob who initiated the south versus north “All Star” games at these levels. In 1979, when the Wetaskiwin Minor Hockey Association was in need of a boost, Bob took over the helm. He was active on the board from 1979-1991 and served as President for eight years, Past-President for three years and also assumed the duties of Equipment Manager. 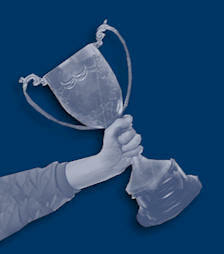 During his term as President he implemented a structure for financial stability and development of players. 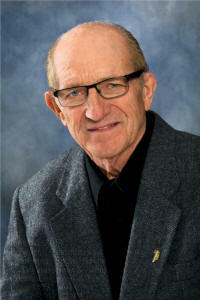 He highlighted Minor Hockey Week with challenges to Camrose to a “home on home” at all levels. Bob also worked with Hockey Canada to position Wetaskiwin to implement Fundamentals in Action (FIA) a program that continues today at all levels. Educating coaches and improving coaching standards was always a focus. With Bob’s leadership, Wetaskiwin minor hockey flourished. From 1979-1982 Bob was a member of the Recreation Board. He worked on the committee seeing through the construction of the Aboussafy Centre, Wetaskiwin’s new swimming pool. Bob was also chairman of the committee that initiated the building of the second Arena. 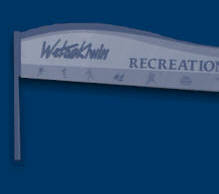 Both ventures added greatly to the recreational facilities in Wetaskiwin. For eight years Bob was a Scout for the Western Hockey League and worked for the Lethbridge Hurricanes from 1986-1992 and with the Red Deer Rebels from 1992-1994. During that time Bob organized Wetaskiwin’s hosting of two WHL games, well received events that helped to motivate young hockey players to aspire to higher levels. Wetaskiwin Icemen Hockey Team owes it’s existence in part to the contributions of Bob Hartnell. 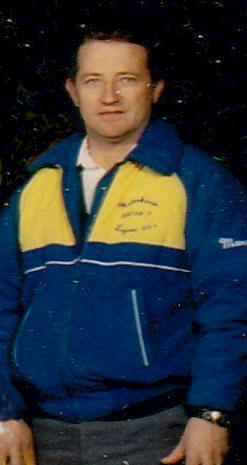 In 1990 he spearheaded the formation of our Wetaskiwin Junior B team that competes in the North East Junior “B” League. For the first three years of league play, Bob was the manager of the team and the team went to the finals all three years (1991-1994). During his time with the Icemen, Bob organized a game in Wetaskiwin against the Czechoslovakian National Junior Team that was competing in the Viking Cup in Camrose. The game was well attended and tested and inspired the Icemen. Besides all of his volunteer involvement, Bob still found time to play hockey himself and played with the Wetaskiwin Relics Hockey Team from 1980-1998. It was Bob, with the help of his fellow “Relic” team mates, that organized a conditioning camp for all Wetaskiwin Minor hockey players. Bob also volunteered for the Wetaskiwin Fire Department for fourteen years. The people of our community and especially the youth have benefitted immensely from the volunteer commitment of Bob Hartnell. We acknowledge Bob’s outstanding efforts and accomplishments as well as his energy and dedication by inducting him into the Wetaskiwin and County Sports Hall of Fame.